If we suppose that a time comes in life, when an experience or a situation determines and forms our way of thinking and future route, it seems that that month “in the middle of nowhere in Spain” was of major importance to Eugenia. I hear her describe it to me with nostalgia and respect. “I knew from the very start that I was entering something vast. I felt as if it was the best thing I had done for myself up until then, a break in order to pause and see where I was heading. It was such a dense experience. Of course a month is not enough for one to become a teacher, but for me it was just the seed. I then continued my dance training and did in fact start teaching yoga. When I graduated, I decided that I needed to follow a more harmonious way of life. Dancing is amazing, but it requires that one is completely balanced psychologically, in order to deal with the pressure and competition, and most importantly, so that the dancer does not become violent towards him or herself. Next, I spent a year in Paris, where I would daily go at 6 in the morning to the Sivananda centre. It was fantastic. At 9, when I would leave having done my meditation, yoga practice and volunteer work, I dealt with the hustle and bustle of city and everyday life in a completely refreshed way”. At some point Eugenia suffers a back injury. She herself tells me that if someone is injured while doing yoga, it means that one is not practicing correctly, as one of yoga's basic principles is the absence of violence. I am confused and ask her how it is possible that a process that involves physical exercise to not also carry the risk of injury. "If yoga is practiced carefully and with awareness, one is quite safely away from the point beyond which the body gives in” she replies. “By definition, yoga is an exercise of awareness. The movements performed by the body are the medium. Even during relaxation you are required to observe what is happening. Meditation brings you in contact with the reality of the present moment in order to experience it as it is. This reality may be that the back of the thighs are really tight and if you push yourself further you will be injured. At the time of my injury, I was performing the movements that I was able to as a dancer. However, even if one can go through the motions in an elegant and impressive way, it does not mean that one is doing yoga. The concentration and awareness are essential. The injury was a great lesson for me, for my future teaching, for the limits of the human condition – if my body had not told me, I would have not gotten the message”. The struggle between the dancer, who was trying to perform the perfect postures, and the yogini, who ought to be aware of the reality of what she was doing, ended in favour of the latter. Eugenia returned to Greece for physiotherapy and met the person, whom she until this day considers her teacher, as well as Iyengar yoga, the yoga tradition that she follows. “The process of overcoming this injury, attaining balance and once again being healthy was in itself a whole learning experience. Until then I was very ambitious and had the tendency to show off my abilities, first of all to myself. To hoard more successes, to prove how good I am. I now prefer simplicity; the essence of yoga is to maintain awareness even in the simplest of postures”. I wonder how many different styles of yoga there are, trying to recount all the Indian terminology that I have from time to time come across in gym group classes and private yoga studios. “As many as teachers” Eugenia answers, “although not all teachers give their style a name. Hatha yoga is widely known, as this is what is predominantly practiced in the West. Each style gives emphasis to certain points. An Indian sage named Patanjali systematized the yoga path in eight steps, or eight limbs, as they are called (i.e., ashtanga). The postures, “asanas” are the third. The first two are the moral principles that refer to one's relationship with oneself, with others, with truth. If I am in pain, and I continue wanting to catch hold of my toes, then I am not being honest. This path takes time. As one progresses, one sees that these principles are our true nature, they exist within us. When we are well and happy, we do not want to harm anyone, lie, take something that does not belong to us. This is the purpose of yoga, to bring us back to a natural state which is characterised by love, joy and harmony. It does not cultivate these states, it simply reawakens them”. Before all this journey even started though, Eugenia used to spend her summer holidays as a child at the family's holiday house in Sfakia, which is the reason why she feels so connected to Crete. At a very early stage of her progression in yoga, she started inviting yoga teachers to the idyllic Cretan land in order to continue her yoga practice with them during the summer holidays. 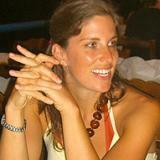 “The first course was led by a yoga teacher friend who I had met in my training in Spain. The two of us taught, my mum cooked, and our guests were a friend of mine from Scotland, a journalist who found us by chance, and two more people. This was nine years ago. Once I returned to Greece, I started meeting and collaborating with Greek teachers”. Yoga On Crete is thus an invitation to people from Greece and from abroad to practice yoga and, at the same time, enjoy their summer holidays on Crete. Volunteers are also given the opportunity to exchange their services with classes and accommodation, a European motive that Eugenia seems to know well. “We have a professional chef, masseuse, and the classes are taught either by me or other teachers, whom I invite. At the same time, every year there are a few volunteers who each come for several weeks during the season, help out with general housework and stay with us. There is also the possibility for a significant discount to the holiday package for someone who is willing to help for 2-3 hours per day with light housework. The region of Sfakia offers the ideal background for this concept to unfold. The house is traditional and can accommodate up to nine persons, while classes have a maximum of 14 participants. Depending on availability, people who are staying elsewhere can also drop into classes. We all eat together at the same table! In this way, the communal character creates a warm and friendly atmosphere between guests, without compromising time and space for people to rest and relax during their holiday”. Courses at Yoga On Crete usually are weeklong, while groups are of mixed levels with both beginners and more advanced students, as there is enough time within a week for teachers to build the practice up from the basics to more progressed practices and to give personalized attention to all students. Depending on the teacher for the week, there are two 1.5-2 hour classes daily, one in the morning and one in the evening, that take place on our outdoor wooden deck among the olive trees, in our indoor studio or sometimes also on the beach. In between classes, guests have plenty of free time for explorations of the island and excursions to the uniquely beautiful beaches. Breakfast and 5 dinners during a weeklong stay are included in the package, and we also arrange two group dinner outings during the week, in order for guests to try the authentic local cuisine. From October until May, Eugenia transfers her activities to the centre of Athens, where she teaches yoga to small groups in her studio in the trendy area of Psirri. How does one move forward with a “fashion”, such as what yoga has become, that has in fact already given its place to other exercise trends, such as TRX and crossfit? “The business develops alongside my personal growth and my development as a teacher. I have gone through an experimentation with trends in nutrition, exercise, yoga traditions, alternative practices. I have come to what I consider my haven and would like to continue offering yoga, this valuable gift that I also have been lucky enough to have come in contact with, to others for a long time in the future. It is great that yoga has become so fashionable in Greece, as in this way a wider audience can be exposed to it, but for me it is much more than just a trend. 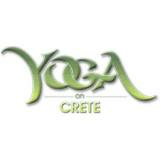 Next year, it will be Yoga On Crete's 10th birthday and I want us to celebrate it. In general, on Crete we like to celebrate in simple ways. We value the opportunity to look each other in the eye, to open up and say a few words from the heart. I once studied Psychology. I was very young then. Now, having gone through psychotherapy myself and having seen its merits in combination with meditation, I would like to train as a therapist myself in the future. For that, I still need to find the psychotherapeutic direction that resonates best with me. In therapy you have someone across from you who serves as a mirror, in meditation you become you own mirror”. Eugenia has not been to India yet, but would like to in the near future. “I believe that the wisdom acquired through yoga has its equivalents in all cultures and spiritual traditions. I find it reassuring that shamans in America, indigenous people in Africa, probably also the ancient Greeks spoke about the same things”. Thank-you for your beautiful article. I am booking a trip via Big Blue Swim Adventures next year and expect to be in Sfakia in late September 2017. I look forward to stopping in and hopefully taking a class. I teach creative dance to preschool age children in Seattle, WA and have also recently begun teaching yoga to young children. It has been wonderful to grow in awareness and peace with the children through the practice of yoga. I look forward to meeting you, Eugenia, if our paths do cross. Thank-you!